The Poppy is one of my favorite flowers. 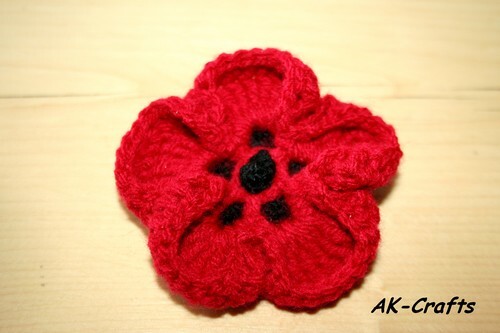 The pattern for this Poppy is easy and you will have fun to make it. 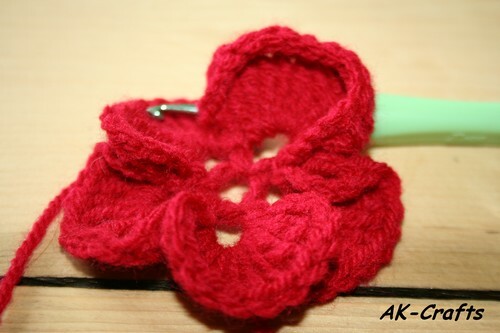 I used for my Poppy Schachenmayr Bravo Acrylic Yarn with a 3.50 mm Hook. 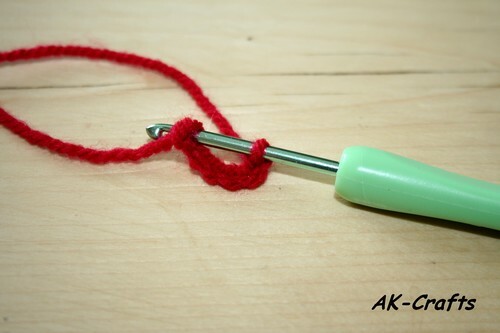 Chain 6 with your red yarn. 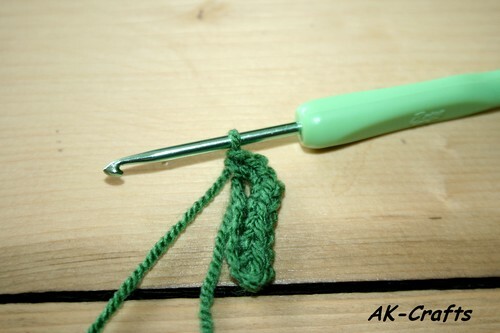 Insert your hook in your first chain you made and Slip Stitch to form a loop. 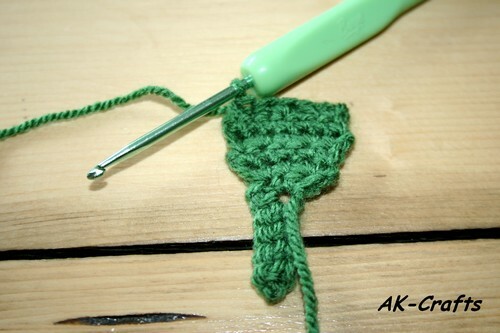 Round 2: make 1 Slip Stitch in your first little loop chain 4, then work 10 tr, chain 4 and 1 Slip Stitch, – you worked all this Stitches in your first loop and you have done your first Poppy Petal. 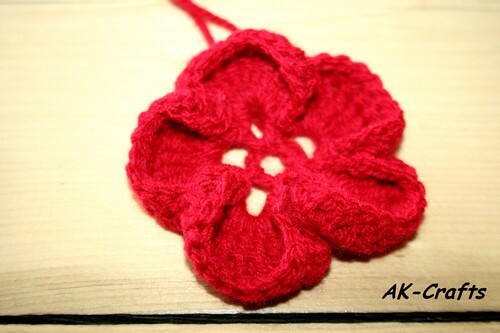 Now you have to repeat this pattern for the Poppy Petals 4 times till you have a total of 5 Petals. 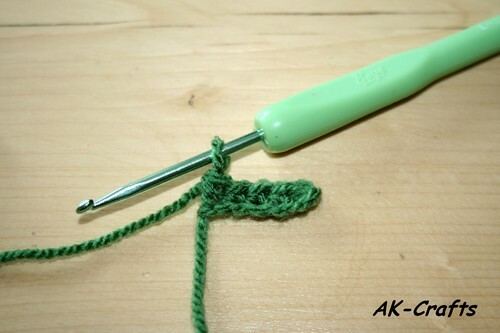 End your round with a Slip Stitch. 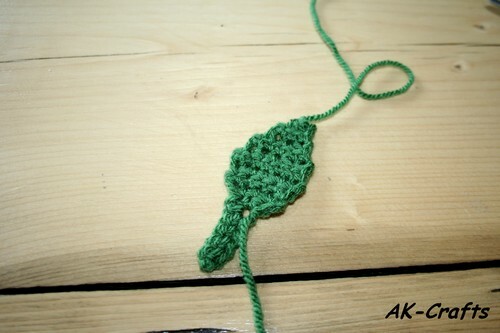 Round 3: 1 Slip Stitch in your first chain of your first Flower Petal. 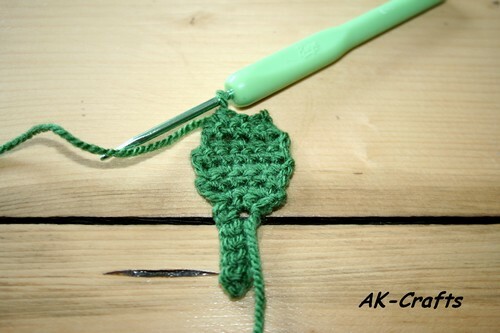 chain 3, 1 dc in each of your tr (= 10 dc), chain 3, 1 Slip Stitch in your last chain of your first Flower Petal. 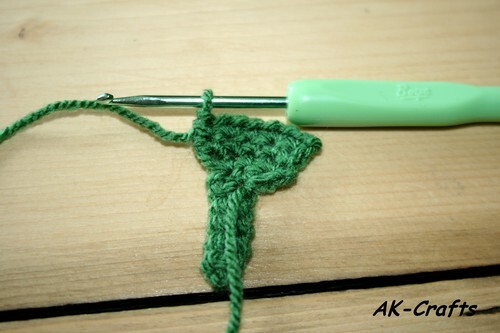 Repeat this pattern with each Flower Petal (4 times) end your round with a Slip Stitch and fasten off. 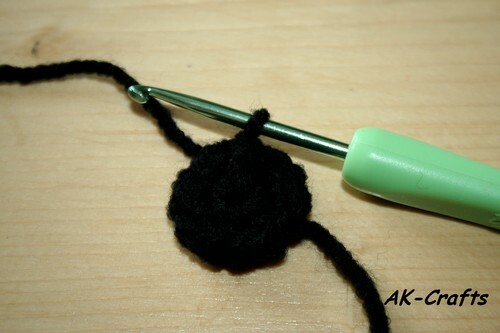 Chain 2 with your black yarn. Lay your black center under your red petals and pull it through the center opening of the petals. 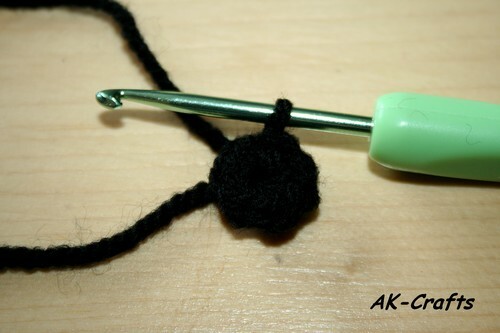 Sew with the yarn. 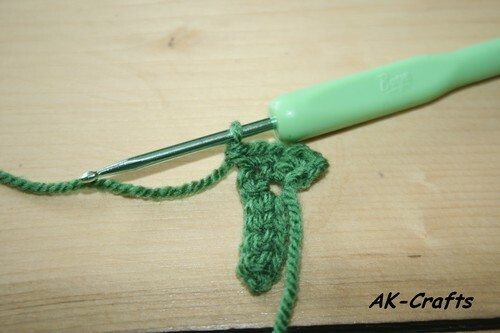 Chain 6 with your green yarn and work 5 sc – this will be your stem for your leaf. 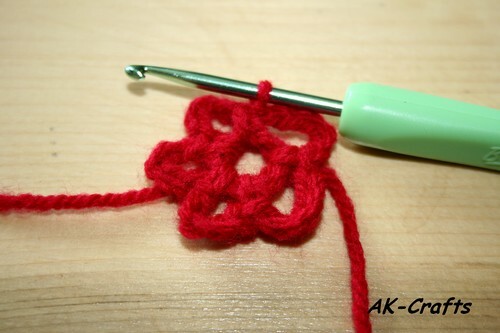 4 Row: 1 sc, 2 sc in one stich, 1 sc, 2 sc in 1 stitch, 1 sc, (=7), chain 1 and turn. 10 Row: sc 3 stitches together and fasten off. 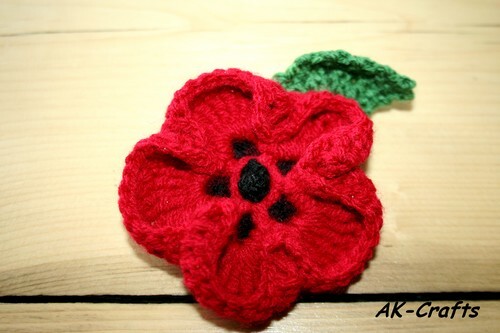 And you have done your first Poppy Flower !! That was not so hard and it was fun to make! Great pattern – thanks. 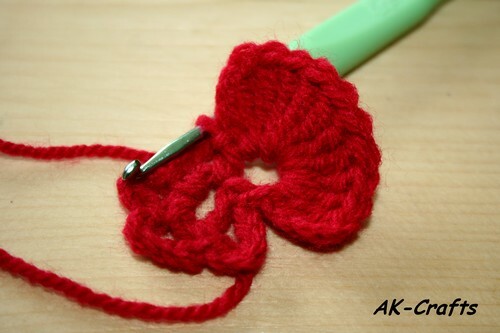 My beginners have asked me to teach them how to make a poppy, and so far they only know chain and double crochet (your single). 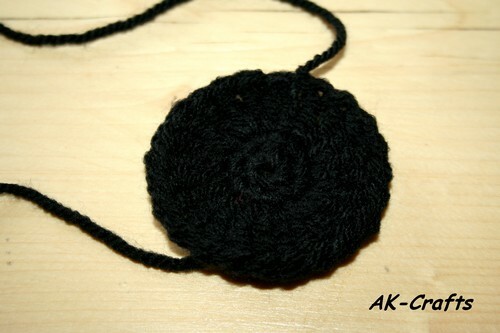 If I use your petals, and maybe use felt for the leaves, that should be simple enough for them, and looks very effective – I love the look of those chain loops in the centre with the black showing through them!